When you first see Dubrovnik's Old Town (Stari Grad), you can't help but agree with its title of Crown Jewel (or sometimes Pearl) of the Adriatic. There really is nothing else quite like it - and we've seen a lot of walled cities on a variety of seas. Unfortunately, it does not always draw the jewels of the jet set. These people may be willing to drop over US$350/night on a hotel, but not half that on a tolerable outfit. In short, Dubrovnik is a must-see, but for your biggest party nights plan on heading to Hvar. Nonetheless, this place is magical. In July and August it can be claustrophobic with all the tourists and cruise ship visitors (don't despair, the latter have to get back to their boats by 4 or 5 in the afternoon!). There are a number of quite good hotels and restaurants here, but that being said you may want to consider staying near Dubrovnik in Zaton (north), Cavtat (south) or even the island of Lopud if you want a bit more peace and quiet. Don't forget to check the schedule for the Libertas summer cultural festival - which brings even more crowds to the city. 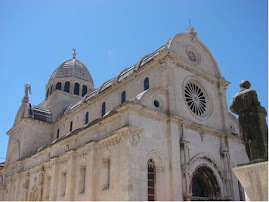 The website of the Dubrovnik Tourist Board (tel: 020/323 887 and located at Cvijete Zuzuric 1/II), has general information on Dubrovnik as well as information on private pensions. 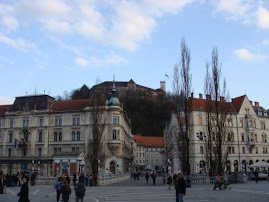 The Tourist Information Centre Stradun has similar information and can help with booking rooms. Dubrovnik online also has some useful info. Also, the book Dubrovnik: A History by Robin Harris is a fascinating account of the Ragusan Republic (the old Italian name for Dubrovnik was Ragusa), which managed to stay to some degree"independent" by playing off the Venetians, the Ottomans, the Dual Monarchy, etc. Few places of such small size reached such great stature, and Dubrovnik/Ragusa managed to keep it up until Napoleon. The best spots to swim include the island of Lokrum (catch a boat in the Stari Grad port), further away on Lopud at Sunja beach (catch the Nova shuttle), or if you want more services on hand, the EastWest club just outside the old town off Frana Supila. If you are staying in Lapad, there is a pleasant beach down there as well - a bit off the trail for our taste, at that point you might as well stay in Zaton. Croatia's best airport, it is actually located in Cavtat, about 20 km south of Dubrovnik. The best mode of transport from the airport to the city is by bus, as it is only a few minutes longer than by taxi, and significantly less expensive. The bus takes you to the main bus station, from which you can get a taxi to your hotel, etc. Taxis in Dubrovnik are known for being expensive, but they are cushy and they use their meters. (You may feel that you are being cheated, but that is probably the actual price.) That said, you don't need a taxi that much around town anyhow. You can find city bus schedules online in English and Croatian - parking in the tourist season is both hard to find and fairly pricy at up to 15HRK/hour depending on the zone. If you have a local cell number (VIP/Vodaphone or T-mobile), you can, however, pay your parking by phone, and it reminds you when your time is almost up. Nova International Shuttle runs shuttle boats from Gruž (the port), Stari Grad (old town), Cavtat, and the Elafiti islands. The Dubrovnik Port Authority is located at 1 Obala Pape Ivana Pavla II (phone: +385 (20) 313 333) in the Gruž port area. Probably more useful (if you are taking a ferry), the Jadrolinija office is at Stjepana Radića 40, with ferries leaving from Gruž for points up the Croatian coast. Located in a 17th century Baroque villa in the old town, this boutique hotel has just 17 rooms and two suites done in true style – it easily deserves all five of its stars, and has far and away the nicest rooms in the city. Unfortunately, there are no sea views due to location in Stari Grad, but they do provide access to the private beach at the EastWest club just outside the old town. One of the latest hotels opened by Goran Štrok, and certainly his best. Significantly smaller than the Dubrovnik Palace, it has a more intimate feel with better interior design, yet retains the better aspects of its big sister – seaviews, spa, and beach – while located a ten minute walk from old town. Staff are friendly and accommodating, and the hotel restaurant, Vapor, may be the only non-smoking dinner choice in the city. Opened in 2005, Hilton renovated the 19th century Hotel Imperial just outside the Stari Grad gates. Of course, the drawback to the hotel is that it has no seaview, as of course when the Austrians would visit they certainly didn’t go to the beach (think Opatija). There is an indoor pool, but why would you come to the coast to swim inside? The final critique is that the exterior looks like the family's black sheep, Ms. Paris, picked the colors. Listed in Wallpaper*, issue 100, at which time the rooms were somewhat worn, but the lobby and bar could host Tom Ford and friends in style (although not quite the same, it has hosted Olivia H and friends). The hotel still has beautiful grounds going down to the outside pool and seaside swimming area overlooking the Old City, and there is also an indoor pool. The whole affair is a five minute walk from the Old City. However, in 2003 the entire complex was renovated a la posh version of a Forte Travelodge. Better mattresses than the original, but nowhere near as much style. Five-star hotel at the end of Lapad – so great views of the sea, but not the old town and not in walking distance to it either. Sadly, the rooms are not as well maintained as you would think based on the public areas. The top floor indoor pool overlooking the sea has got to be the best in the region, and is accompanied by a tolerably nice spa and gym. Excellent for conferences. 'Comfortable' and modern with beautiful views of the Old City. Large indoor pool, outdoor swimming area, [comfort zone] spa and a small gym. Five minute walk from the Old City. Some have complained of the less-than-superior customer service. And the interior design is well, so un-innovative as to be offensive. Small eight room hotel located just 20 metres off Placa in the Old Town. Charming air-conditioned rooms, and a stunning view of Stari Grad and the sea from the roof terrace. However, do not book your great-aunt a room here: the stairs are not for those with arthritis or knees destroyed by American football. “Cuisine and pop lounge", Gil's brought Dubrovnik to the level at which it belongs for lounging and dining. The outdoor area, the inside dining room, and the terrace overlooking the old Arsenal and old town port were all exceedingly well-treated by the Croatian architect Duje Kaliterna (look for his Imperium project in Split). The food matches the decor - modern, ecletic, enjoyable. 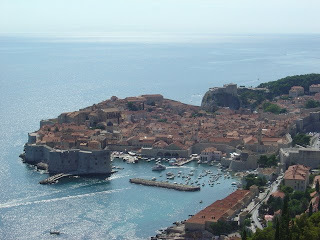 Prices seem high for Dubrovnik, but think what you would pay in NY or London. If you get sick of seafood then go here. Basically a long-time Dubrovnik steak house, but not a bad one. Also has an amazing black risotto and good crepes suzettes. In the Old City off Stradun. Pretentious and somewhat overpriced for dinner, but the service is generally good and the outside tables overlook the Bokar and Lovrinjevac fortresses. Okay for coffee and ice cream in the afternoon if you’ve got your travel backgammon set (jennifer k approved). If you go at night, get a table on the balcony overlooking the water. Open all year - which is a serious plus. Down the steps beside Nautika, Orhan is a bit less pretentious, and one of the better seafood restaurants near the Old Town. Tables overlooking the inlet between the Old Town and the St. Lawrence Fort. My law school roommate's mother was more than pleased. This small, casual restaurant just up (and across street) from the Hilton boasts a simple but excellent zucchini carpaccio, which with the Šipanska salad makes it absolutely worth a stop for a light lunch or dinner. A regular stop when we are in Dubi. Same owners as Nautika with a slightly more innovative menu; it has an outside terrace on the second floor. Located in the Old Town just off the main street (but not on ‘restaurant row’). In the old Arsenal with seats overlooking the small harbor (so great location). There is a decent Croatian wine list, and the food is better than much you find in town. Stephen M gave the gnocchi a thumbs up. Also worth a stop is the graDSKavana (city cafe in Croatian is gradska kavana - they just jammed the words together) on the other side of the building. You'll see the terrace running from small Onofri's tower to the Rector's Palace across from the side of St. Blaise's cathedral. Café bar hanging outside the walls of the old town – beautiful view over Lokrum and into the Adriatic. No coffee, just soft drinks, beer, and airplane size bottles of wine. But with the view you won’t complain – even about having to use the wooden rack to hold your plastic cup in place. The café with the red awnings on the main street closer to the Pile Gate. Perfect for a quick drink, day or evening, and they also have light lunches. This retro, funky building was given a facelift when EastWest moved in, with its swank beach club, bar and trendy restaurant in addition to a clubby garden and nightclub. The food gets mixed reviews, but you could do worse - and the setting was among the best, although Gil's grabbed the number one position. That said, dinner here is less than dinner there, and could still impress your date. Huge outdoor beds could be quite interesting into the wee hours – if only they wouldn’t close the beach area during the club hours. Cuban bar set just across from the Rector’s Palace. One mojito and you’ll be hooked as well. Sitting on wicker chairs, or on cushions on the Cathedral steps, staring at the Palace and the Cathedral. The only drawback is that it can get far too crowded. Same owner and concept as “Indis” in Gornji Grad in Zagreb. If it's not to your liking, try the tried-and-true Troubadour Jazz bar around the corner at Buničeva 2 - a true Dubrovnik institution. 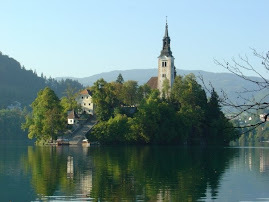 ... see the Ottoman stylings of Mostar, with the rebuilt old bridge (Stari Most), perhaps stopping to see the quaint village of Počitelj, or the amazing nature of Hutovo Blato, all within 2 1/2 hours from Dubrovnik across the border in Bosnia & Herzegovina. ...continue your exploration of Dubrovnik's former republic in Korčula, Pelješac (including Mali Ston), Zaton, or Cavtat. ... or go see the work of the Venetians in the city of Kotor on the aptly named Boka Kotorska (Bay of Kotor) in neighboring Montenegro. Jeffrey spent over twelve years working and playing in Croatia, Slovenia, Bosnia & Herzegovina, Macedonia, Montenegro, and Serbia, during which time he sampled thousands of restaurants, hotels, pensions, clubs, cafes, etc. Then, after a stint in Colombia and having checking back in with NYC, he found himself in Lecce,the southern Italian baroque jewel, which serves as home when not travelling for work and/or pleasure. Travel favorites include sampling the novoandino cuisine of Peru, Cartagena des Indias, and the hinterlands of Italy, not to mention the western Balkans.Other longer journeys include Mali, South Sudan, Guinea-Bissau and Timor-Leste, as well as more standard destinations such as Paris, NYC, and A'dam.